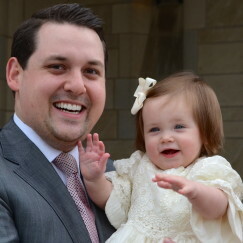 I spent last weekend in Washington, DC, attending the 1st Birthday Party & Baptism of my Granddaughter Elle. 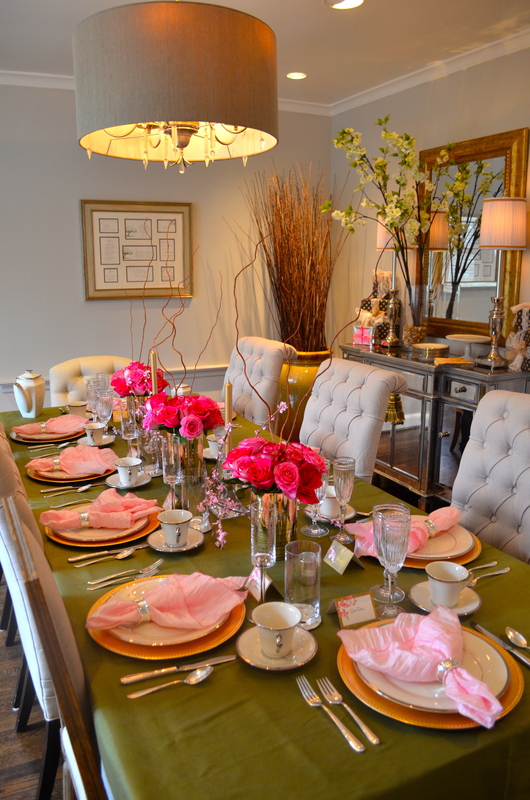 My contribution to the festivities was the preparation of a Post-Baptismal Brunch. 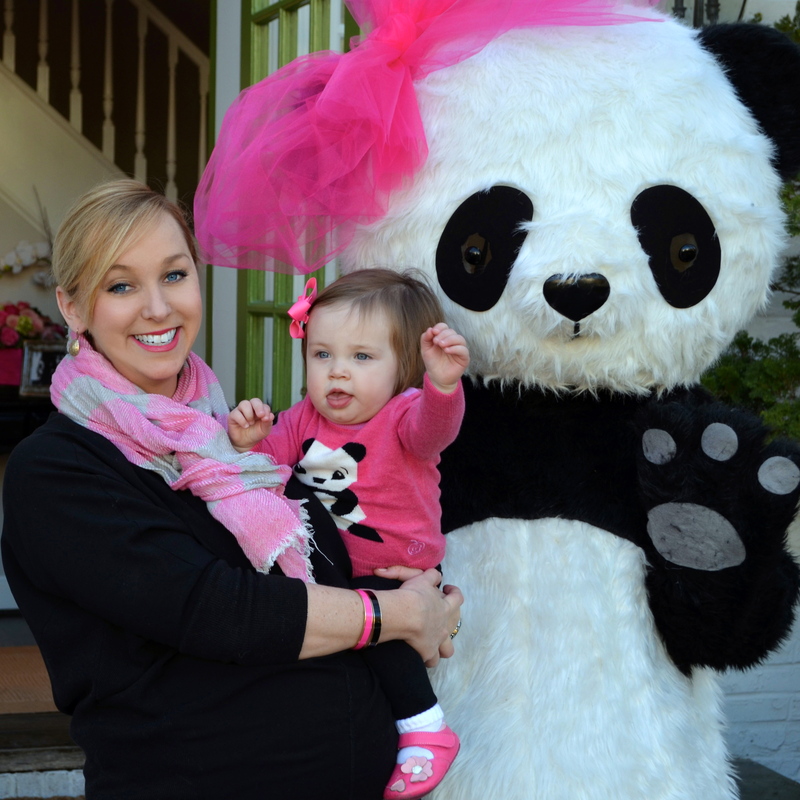 You can read all about the Brunch here. In that post, I promised to show you how to prepare my all-time favorite Italian Style Crustless Quiche Recipe. I made it a day ahead and popped it in the oven the next morning. I also made a Mexican Style version of it, which I also served at the Baptismal Brunch. You can get that recipe here. 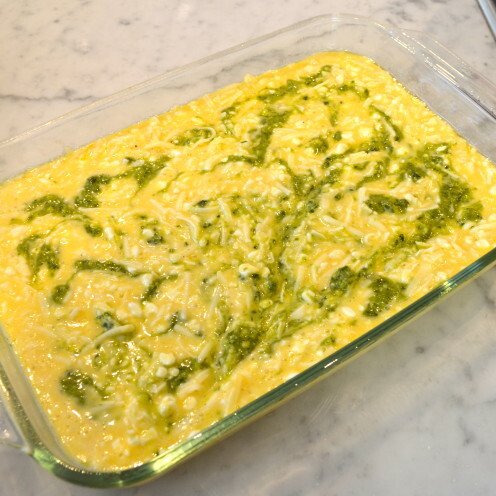 These Crustless Quiche recipes are my go-to recipes whenever I am feeding a crowd for breakfast or brunch. I always prepare it on Christmas Eve to enjoy on Christmas morning. 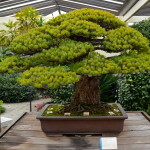 It is easy and delicious, and is universally liked by all. 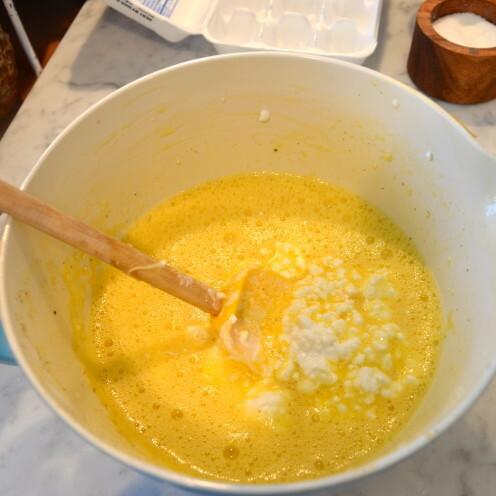 Here’s how to make it: start by beating up 1 dozen large eggs in a large mixing bowl. 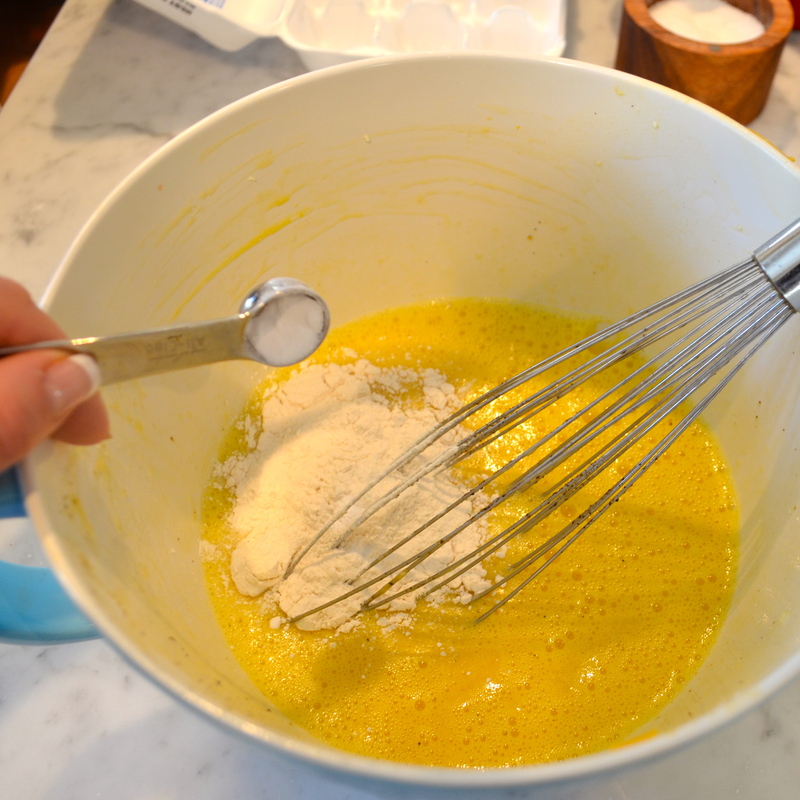 Then, add 1/4 cup of all-purpose flour, 1/4 teaspoon baking powder, 1 teaspoon salt and 1/2 teaspoon ground pepper. 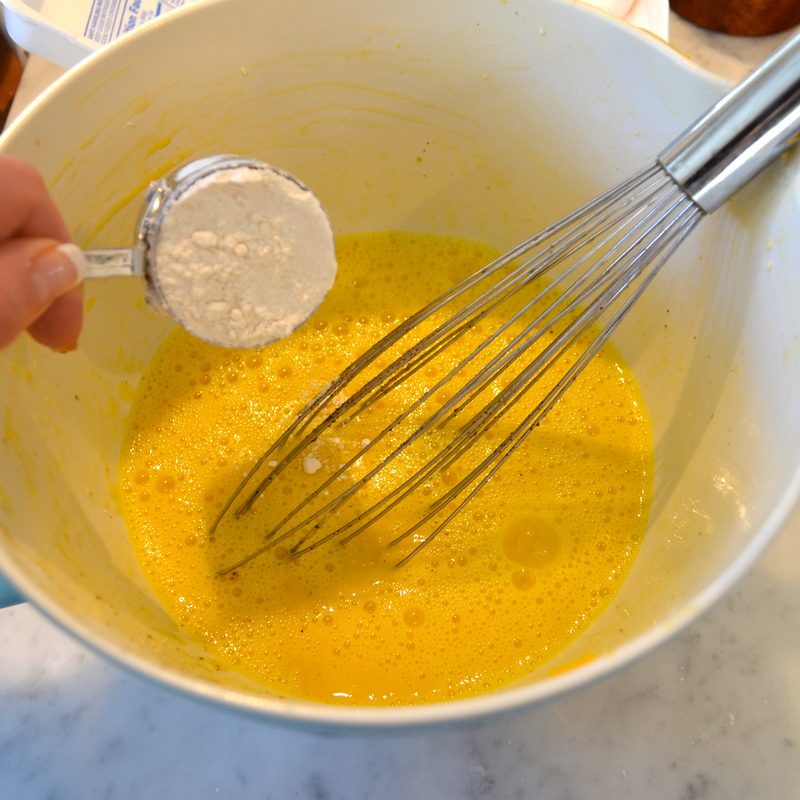 Whisk it all up until the flour is well incorporated. Next, add 16 oz. (1 pint) cottage cheese to the egg mixture. 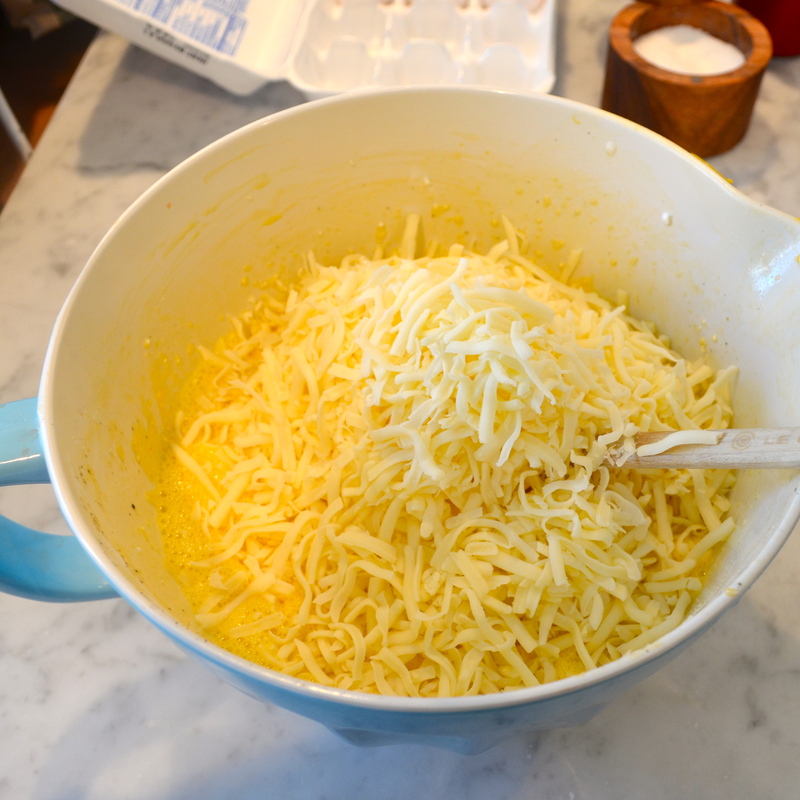 Now, add 1 pound grated mozzarella cheese. Using a spoon, incorporate it into the eggs. Pour the mixture into a 9″ x 13″ baking dish that has been prepared with cooking spray. Now, you will need about a cup of Basil Pesto. 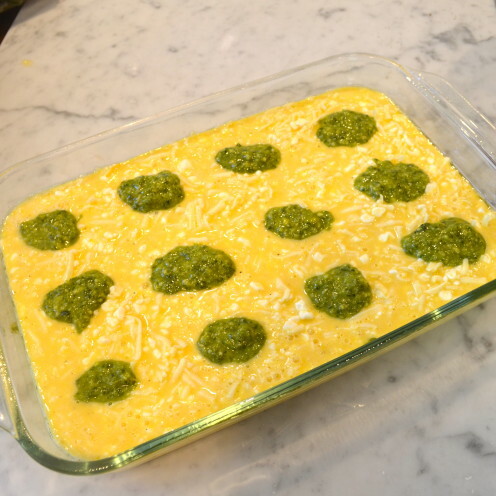 Pesto is very easy to make and is something I do frequently during the summer months when fresh basil is abundant in my kitchen garden. However, this time of year, I often turn to the Costco Kirkland Brand of ready-made Pesto. It is very good and quite comparable to fresh-made Pesto. 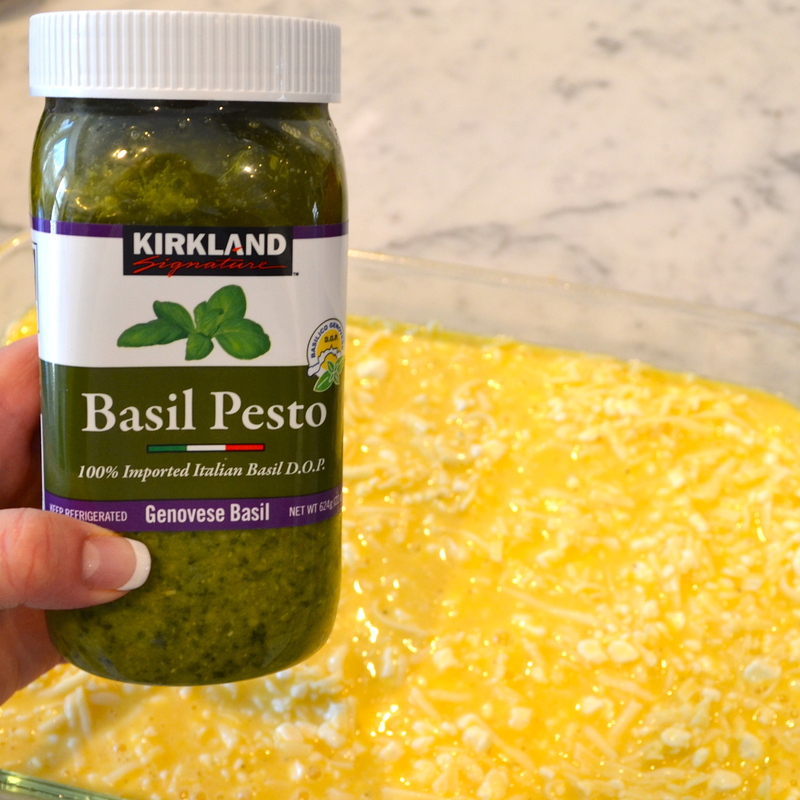 Without really measuring, drop 12 large spoonfuls of Pesto onto the egg mixture in even intervals. Each spoonful is approximately a heaping tablespoon. Using a knife, cut through the Pesto in a swirling, “S” shape motion. If you are making this ahead for breakfast the next morning, cover with plastic wrap and refrigerate overnight. When ready to bake, preheat the oven to 350º F and bake for 35 to 45 minutes until the quiche is set and lightly golden brown. Cut into squares and serve. Store leftovers in the fridge, warm in the microwave and enjoy for several days. My kids think the leftovers taste even better! 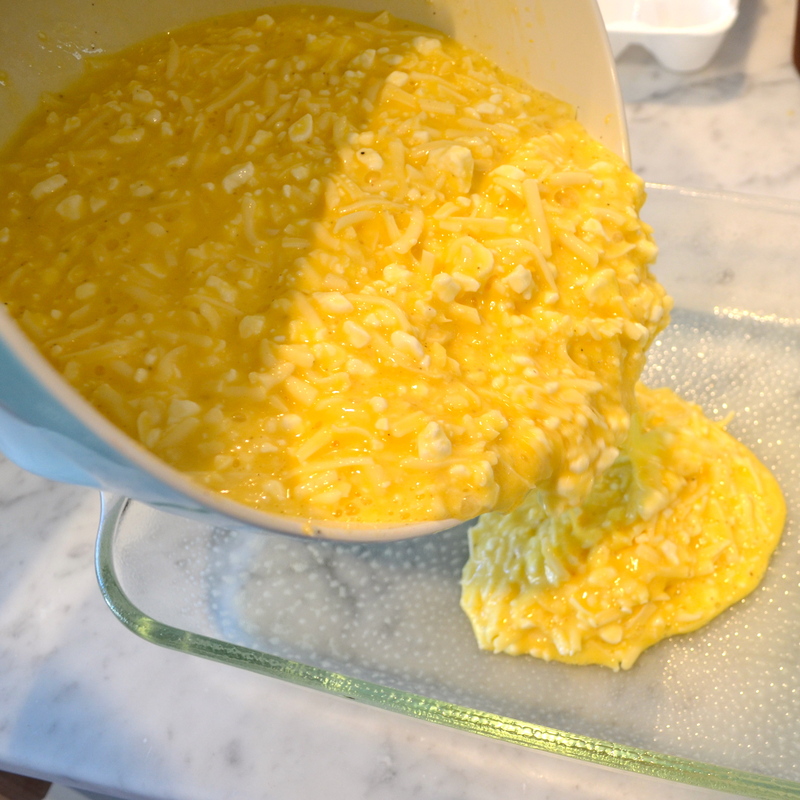 Add the cottage cheese and the shredded Mozzarella cheese and stir to combine. Dollop 12 heaping tablespoons, spaced in even intervals across the top of the quiche mixture. 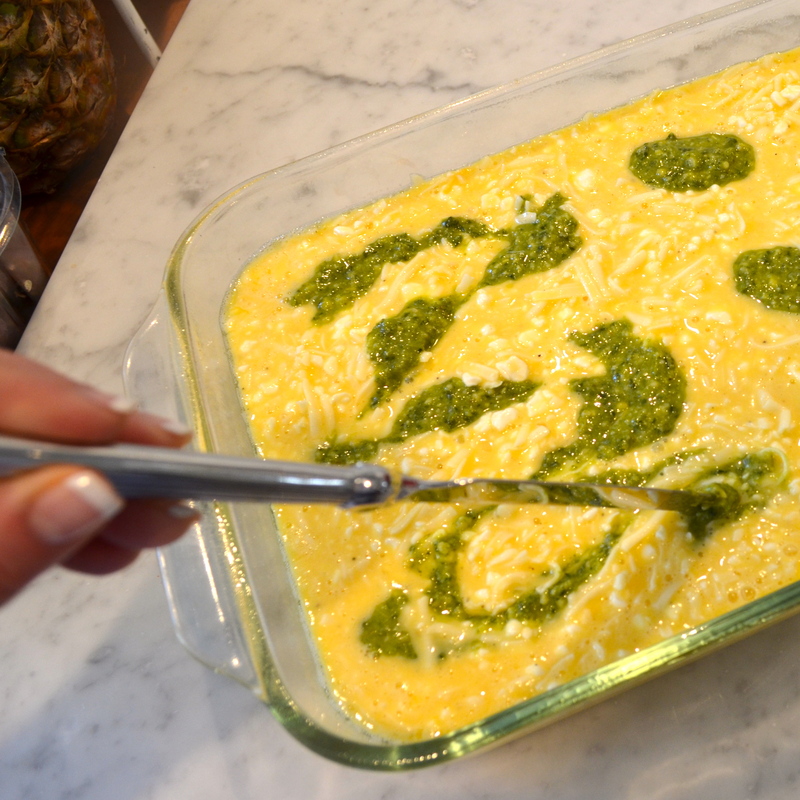 Using a knife, cut through the quiche in a swirling "S" motion, loosely distributing the Pesto sauce. 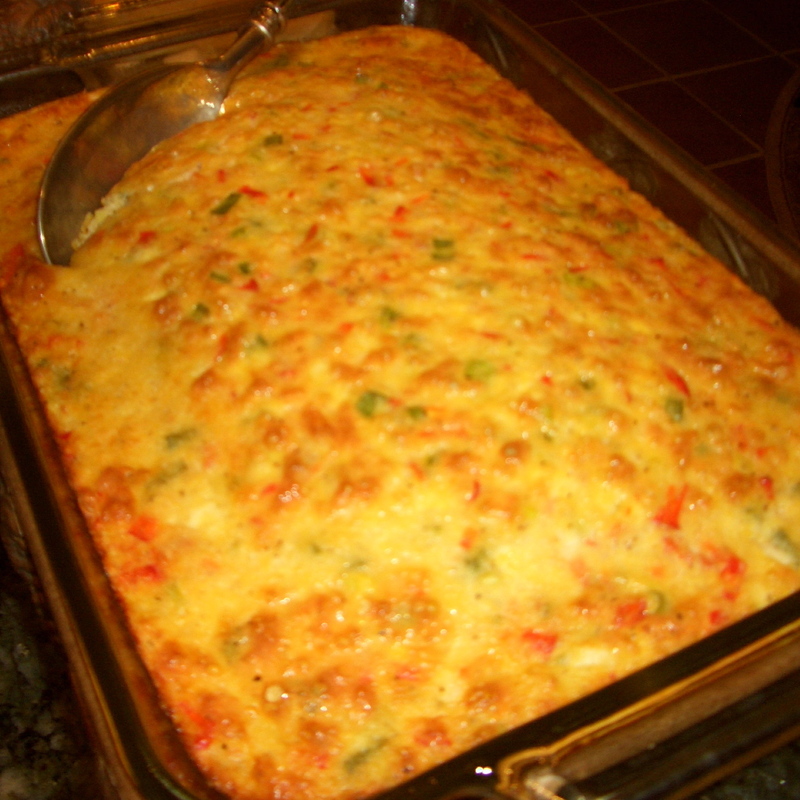 Cut in squares and serve hot out of the oven. There is a sister recipe to this one. 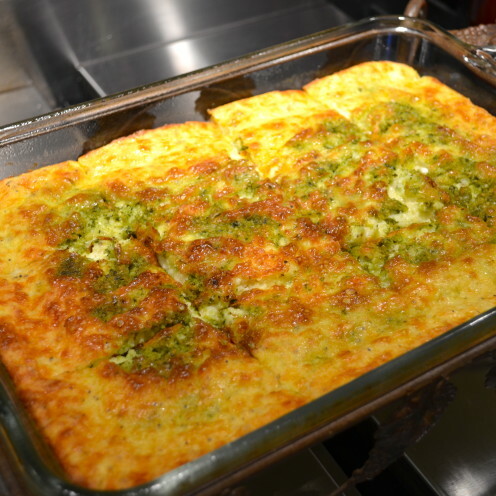 See my recipe for Mexican Style Crustless Quiche. PS – Costco doesn’t know me. I just like their Pesto Sauce and wanted to share with you.